H.P. MARENGO hereinafter referred to as Organizer or Marengo is an Digital Signage 2018 (DST) Conference Organizer. H.P. MARENGO s.c. is a www.digitalsignagetrends.pl website administrator. The date and place of the DST Conference: 13th of September 2018 in Novotel Warszawa Airport Hotel located in Warsaw, ul. 1 Sierpnia 1. Provided Terms and Conditions are the integral part of Conference Application Form and shall apply to all Participants, Sponsors, Speakers and Organizers. 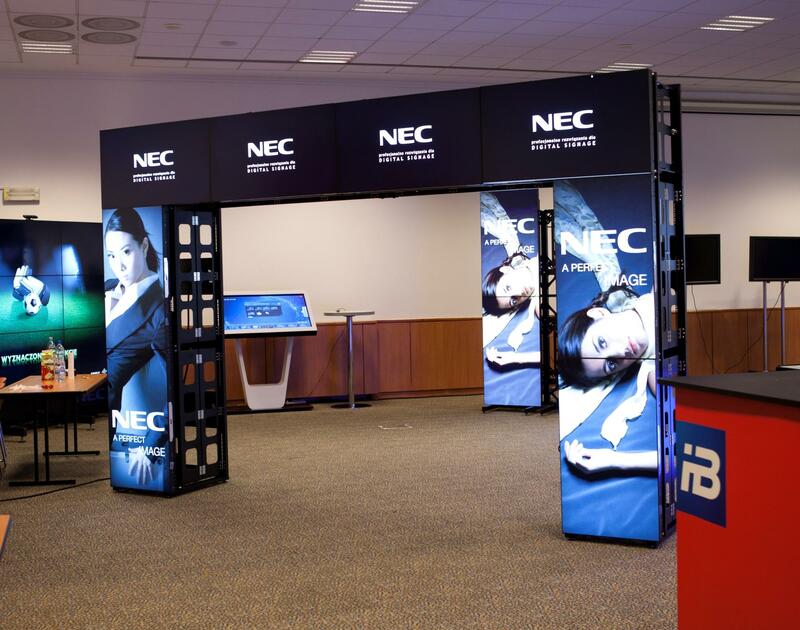 The Conference will feature lectures and educational workshops, presentations of new products, innovative solutions for Digital Signage systems. Participant of the Conference is a person who registered for the Conference by submission of application form and received a confirmation from the Organizer. A requirement for the participation in the Conference is submission of application form, separately for each person from the company and receiving of confirmation form the Organizer. The Organizer shall not be liable for damage resulting from incorrect details provided by Participant during registration process. Submission of registration form by third party is tantamount to declaration that all participants details are provided on their consent. Deadline for submission of registration for participation in the Conference via internet website is a day indicated by the Organizer. Registration after deadline will be possible provided sufficient places are available. Deadline for registration for DST 2018 Conference is 31th of August 2018 (deadline for registration for persons who received invitations from one of the Sponsors is 20th of August 2018 till 4p.m.). Registration should be made through providing real company and personal details by filling registration form available at internet website. Due to limited number of places at the Conference, the registration order is deciding factor. Persons registered after depletion of free places are placed on the reserve list and they have been informed about that by the Organizer. Their participation in the Conference can be accepted if there are free places. In case of lack of free places in the full conference package, the Organizer may accept the request for participation in partial Conference agenda. The Organizer reserves the right to reject the participants registration if it conflicts with the interests sponsoring companies. The cost of the participation in the Conference depends on the chosen package and will be announced on website after start of registration. The Participant which filled out registration form on DST Conference website, is obliged to make a payment to the bank account specified by Organizer within 7 days from the date of receipt of pro forma invoice. The invoice will be issued by Organizer within 2 days from the date of Participant registration and will be sent to the e-mail address stated in the registration form. If the payment is not made within 7 days from the pro forma invoice issue date – the registered person will be removed from the DST Conference Participants list. Cost of travel Participants cover on their own. The organizer does not provide accommodation. Participants interested in accommodation on the day preceding the Conference and the day after are obliged to make a payment on their own. Reservation can be made personally by direct contact with Hotel in which the Organizer provides the Conference will be held if there are free hotel rooms or in Hotel selected by the Participant. For information on hotels near the Conference location please contact the Organizer. If the Conference Participant uses additional services provided by the Hotel where the Conference is held or the Participant is staying, the Conference Participant shall bear the costs. Participants bear full financial responsibility for the damage they have done on the premises of any Conference activities or accommodation. Upon arrival at the Conference place the Participant is obliged to appear immediately at the Conference reception desk for the purpose of receiving the ID card. During the content part (in the conference rooms and exhibit area) and in the integration event during the Conference, only persons who are qualified for the participants list and have a visible valid ID card can take part. Persons without ID card won’t be allowed to enter the area, where the Conference is held. Each conference participant is obliged to read the Regulations of the Novotel Warszawa Airport Hotel, where the Conference takes place. Submission of the registration form available on the conference website means acceptance of these Terms and Conditions and Regulations of the Novotel Warszawa Airport Hotel and the hotel where the participant is staying, as well as rules and any other arrangements made between the Participant and the Organizer. Submission of the registration form available on the conference website will imply the acceptance of sharing the email address to the third parties cooperating with the Organizer within the Conference and to send commercial and marketing information related to the Conference by means of electronic communication. Submission of the registration form available on the conference website is unambiguous with the consent of the Participant to store and process their personal data by PHP Marengo sc based in Krakow and the Training Partners who will be their administrator in accordance with the Act of 29 August 1997 about personal data protection. (Uniform text Journal of Laws of 2016, item 922) to the extent that it is necessary to perform the services provided by PHP Marengo sc. The Participant has the right to review his / her data and the ability to request, supplement, update, rectify and temporarily or permanently suspend or remove them. In case of cancellation made after 31.07.2018 and before 15.08.2018, the Participant agrees to charge by the Organizer with the amount of 50% of participation payment. Cancellation after 20.08.2018 means that Participant will be obliged to pay full amount of participation costs. If the Participant cannot participate in the Conference due to random causes after 20.08.2018, he / she should immediately inform the Organizer and provide documents proving the cause. In this case, the Organizer may refrain from charging the Participant a penalty for lack of resignation. Each case will be considered individually. In case that the Conference does not take place for reasons beyond the control of the Organizer (such as flood, hurricane, snowstorm, power supply failure etc. ), the Participant won’t be entitled to compensation or reimbursement of any fees related to the Conference. The Organizer reserves the right, in case of circumstances beyond his control, to cancel or postpone the Conference. The Organizer shall not be liable for events causing damage to the Participant and for any damage caused by the Participants, irrespective of the cause, except for damage caused by the intentional fault, confirmed by the final judgement. Any disputes that may result from participation in the Conference will be settled by the court competent for the Organizer's registered headquarter. In matters not covered by these Regulations, the provisions of the Civil Code shall apply. In accordance with the Personal Data Protection Act of 29 August 1997 (Journal of Laws 133 of 29 October 1997, item 833), the Organizer of the Conference does not transmit, sell or donate the collected personal data of Participants to other persons or institutions. Personal details provided by the Participant is treated as confidential and is used solely for the purpose of communication between the Participant and the Conference Organizer. The conference is closed to the general public and does not constitute a public event within the meaning of the Act of 23 March 2009 on the safety of public events (Journal of Laws 2009, No. 62, item 504). The Organizer is not responsible for the items of the Participants, which may be lost, destroyed or stolen during the Conference. Photographing and filming: the content presented at the conference / cultural event is subject to legal protection. Also the image and voice of the speakers are their right to protection of the personal interest. Therefore, without the permission of the organizers, the recording of the conference and distribution of the recorded content is prohibited. It is forbidden to bring weapons, ammunition and explosives to the Conference area and any objects which may endanger the safety of persons in the Conference area. It is forbidden to bring animals to the Conference area. It is forbidden to bring alcohol and drugs to the Conference area. Persons who are under influence of alcohol or drugs may be removed from facilities where activities related to the Conference are carried out. It is strictly forbidden to smoke cigarettes (including e-cigarettes) in the premises of the Conference, except the designated smoking areas. The Guest breaking non-smoking rule will be obliged to pay the cleaning fee and the ozonisation of the room in the amount of 300 zł. The organizer reserves the right to change the provisions of the Regulations. The amendments shall become effective within 7 days of their publication on the Conference website. The Organizer reserves the right to change the program, the location of the Conference and to cancel the Conference. Participant will be informed about these changes immediately.